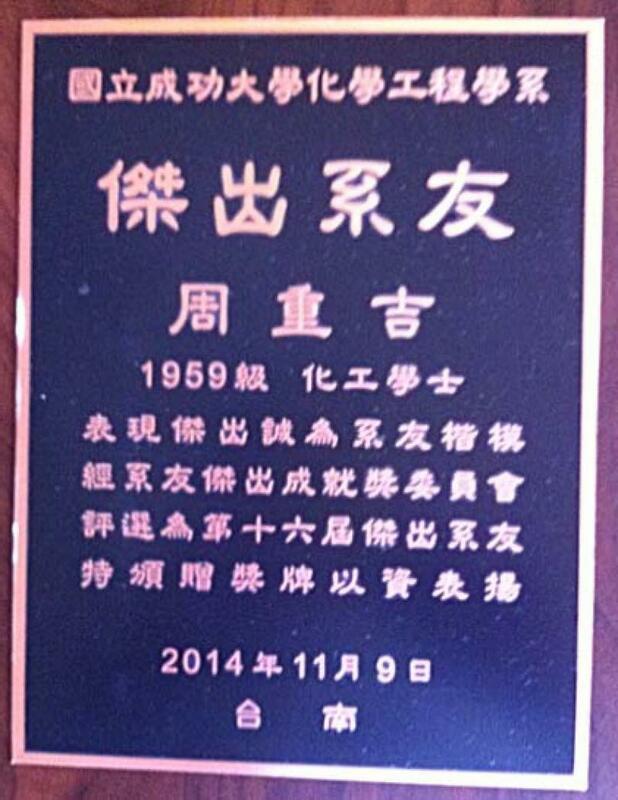 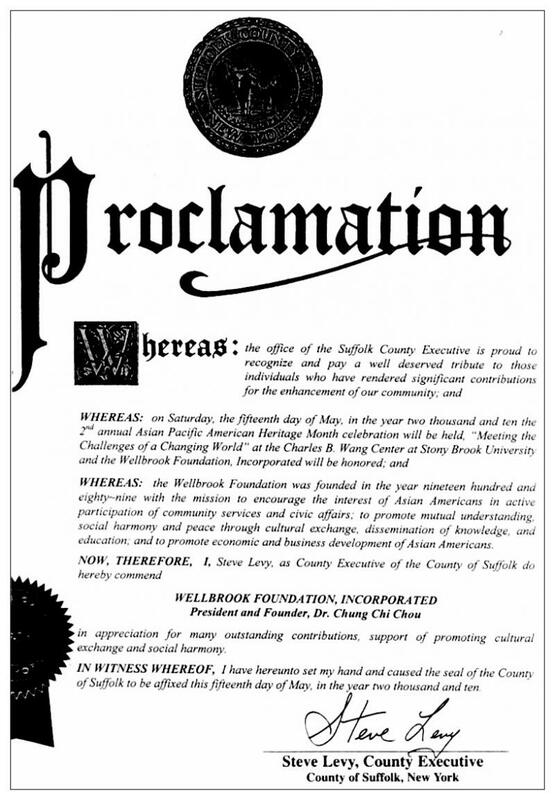 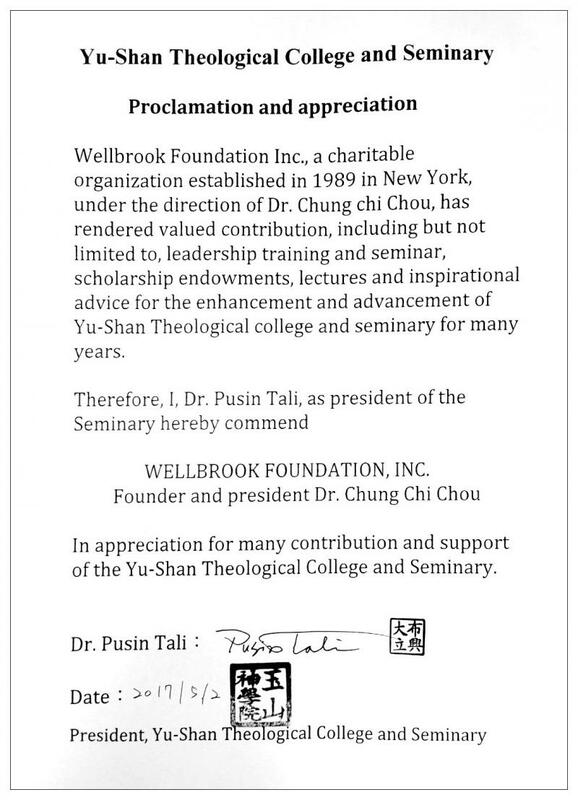 On May 15, 2010, Mr. Steve Levy, the County Executive of the County of Suffolk, State of New York commends, by proclamation, Wellbrook Foundation, Incorporated in appreciation for many outstanding contribution, support of promoting cultural exchange and social harmony". 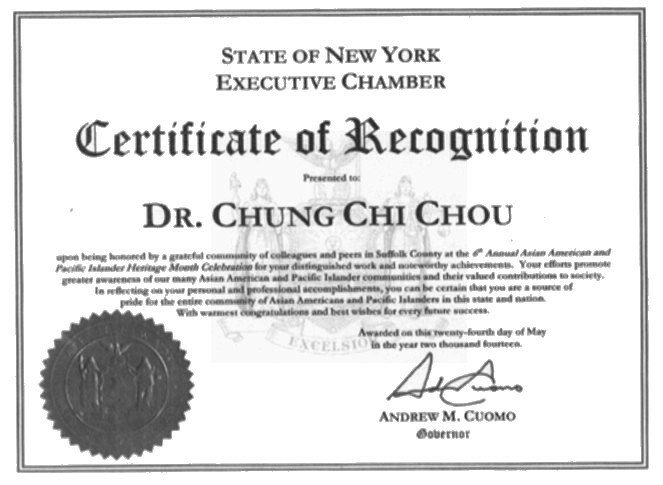 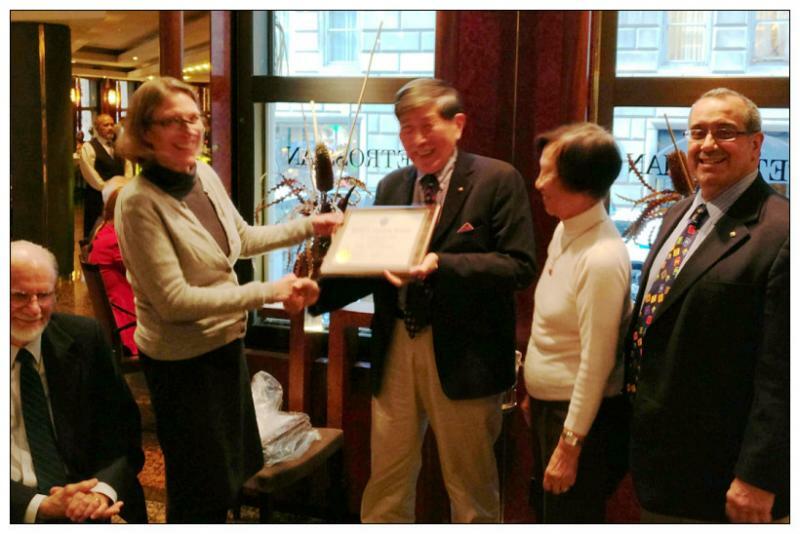 Photo taken at the 1st Suffolk county (of State of New York) Executive’s Asian American Advisory Board (AAAB) meeting, in which Dr Chung Chi Chou was elected as the 1st Chairman of AAAB in 2007. 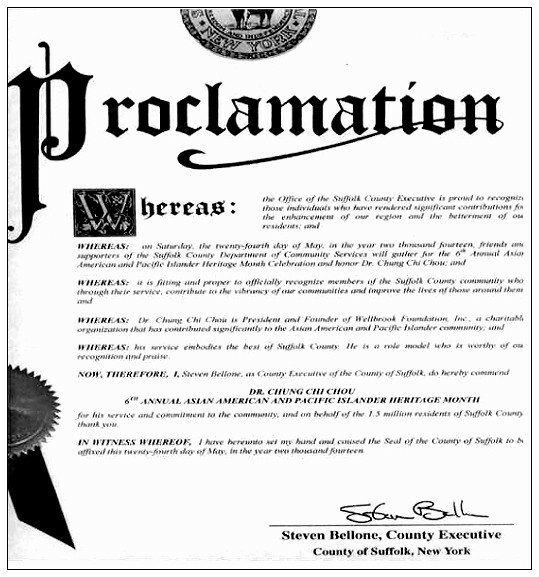 Center left: Mr. Steve Levy, County Executive of Suffolk County, State of New York. 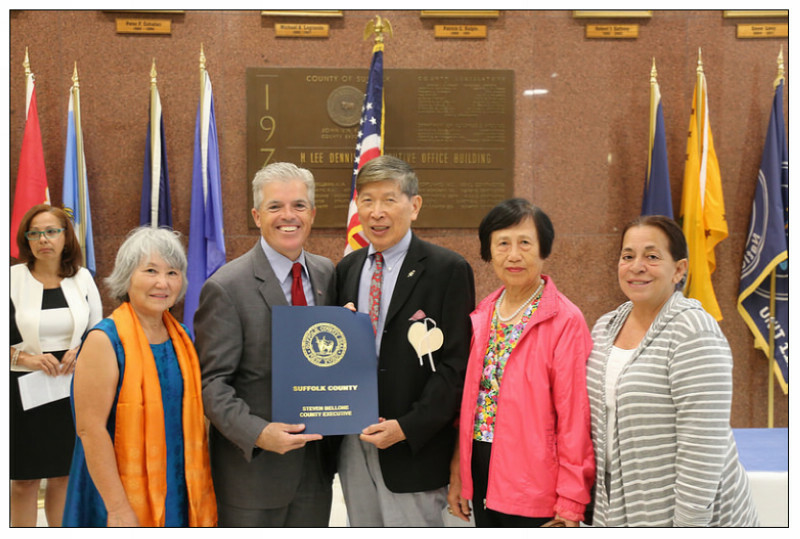 Center right: Mr. Ed Peres, Director of minority affair of Suffolk County, State of New York. 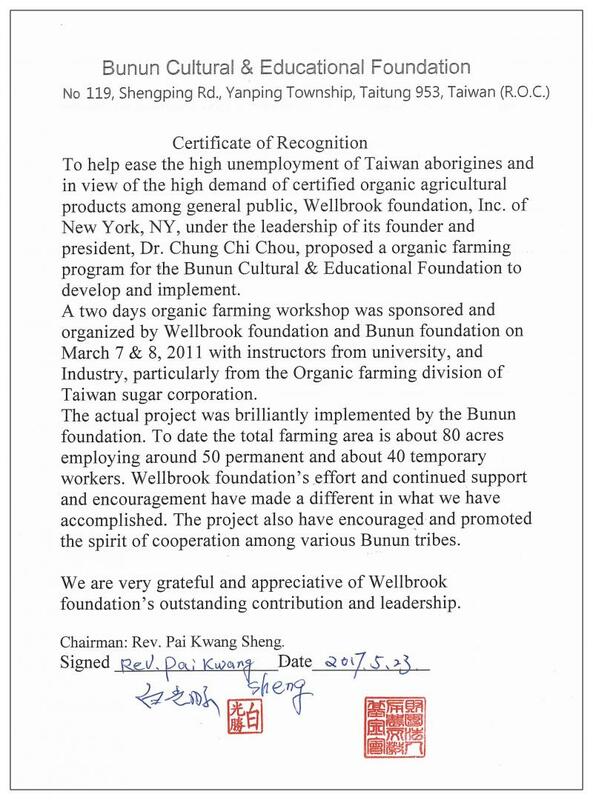 Copyright 2010 Wellbrook Foundation, Inc.. All rights reserved.